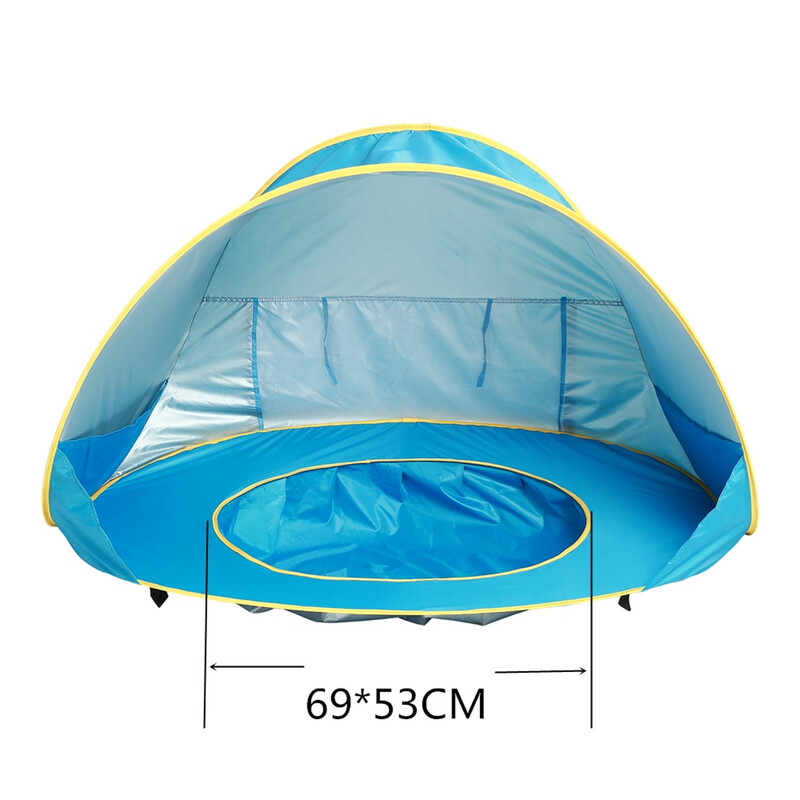 190T Silver Coating Fabric]: Waterproof Polyester Fabric, high quality and durable. UV Protection]: Upf 50+. 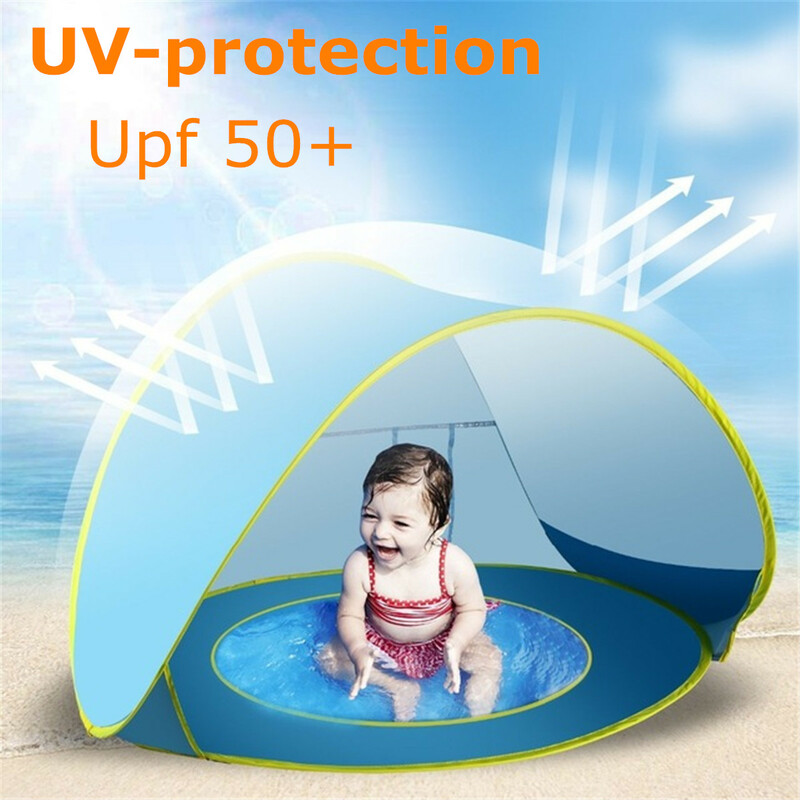 Better protect baby from the sun's harmful rays. 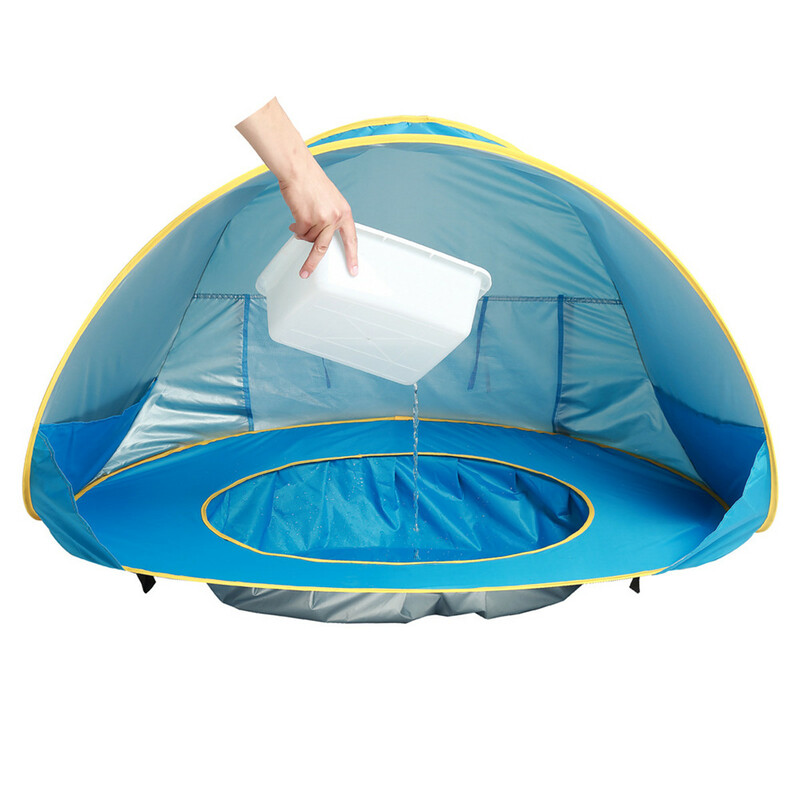 Convenient Portable Design]: Automatic pop up; Lightweight; Easy carry with a bag; Removable. 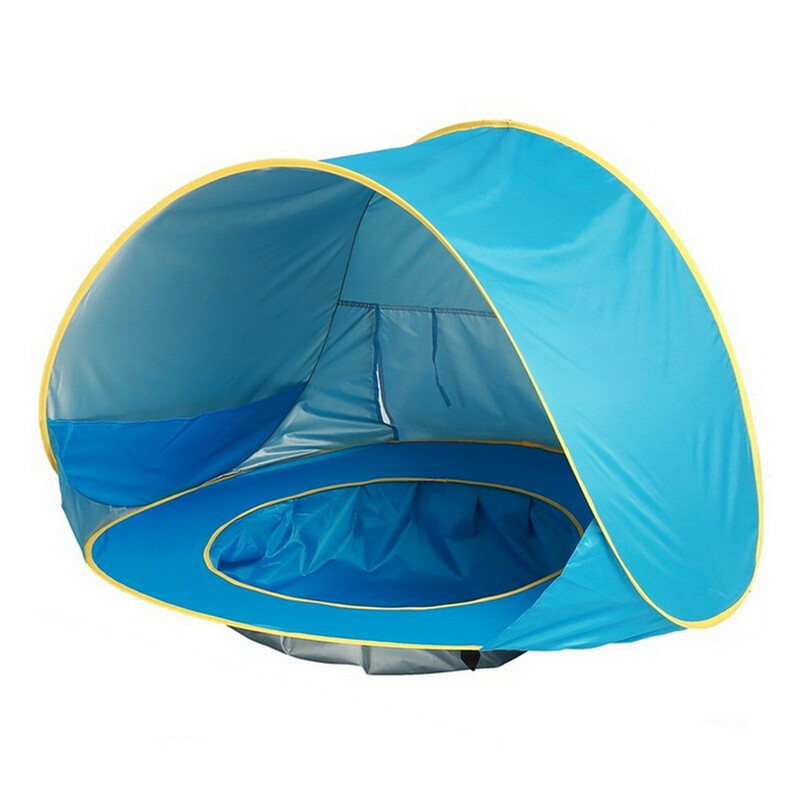 At the bottom of the mini pool can allow baby play in the water instead of go to the seaside, parents can have extra time to enjoy the beach trip.